There are at least four smoking areas at cgn. Near gate c75 - this one is not accessible from midnight till morning (don't know exact opening hours just know it closed at midnight) as the necessary "go through" free shop is closed. Another smoking area is near gate b73 probably accessible nonstop. Both visited when flying inside shengen area. 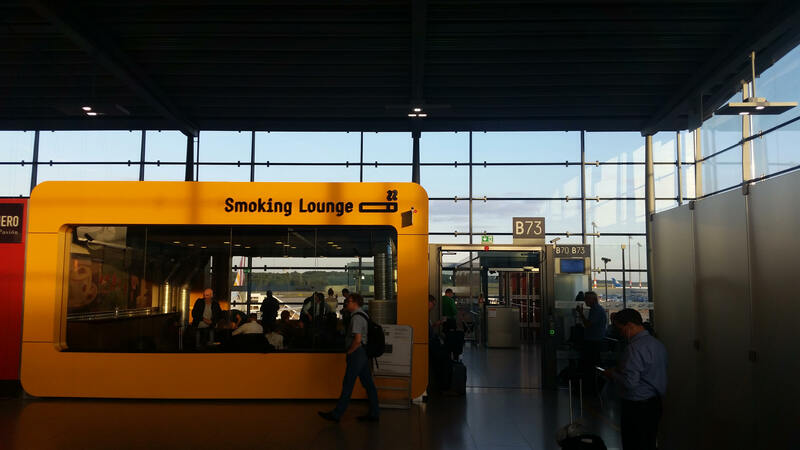 There is also a smoking area after the passport control for non EU flights gate D10-30. Update from Annemiek D.H. on the 27th Jan 2019. Update from Sergey on the 18th May 2017.